Go Realty Unplugged: A Picture is Worth ..
A Picture is Worth ..
For the last three years, we have enjoyed the work of Gretchen Mathison as our photographer of choice at Go Realty. She has captured magical moments with our families, clients, and managed to make each of us look great on our web site. She has created a distinct look that is closely associated with our agency. For all this we are extremely grateful. Like all marketing, changes are needed to keep the message fresh, engaging, and effective. Jim and I have been discussing "blowing up" the company web site for some time. We want to accomplish a lot more with it. Early in 2013, GoRealty.biz will get a major overhaul. Part of the change will be the approach to agent images and how we present ourselves to the public in that forum. To reinforce our efforts in social media, we will immediately start working to collect a series of photos of each agent using Instagram. We'll experiment with a variety of ways to use these images in our marketing. 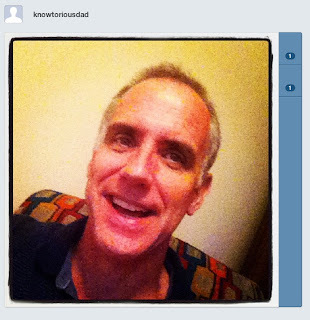 One method will be posting Instagrams as our agent shots on the newly designed web site. Your office Angel will chase you starting tomorrow after the Go Show to get a few images of you. We'll collect the ones that are best. We want to have a lot of fun with this and capture pictures that reflect who we are and how we see each other. Collaboration with colleagues is what can make this very special. You can pose for an Angel's camera, take shots of each other, gather and edit your shots - all using Instagram. Before the December break, we want to collect three excellent pictures of every one of our agents. Why? We think this approach will make us even more approachable, give us ways to connect with the Facebook/Instagram community, and provide us all something new to talk about with our clients as we introduce them to the revised web site in the first quarter of next year. Get out that smart phone and start building our new web site. We want to see more of who you are.